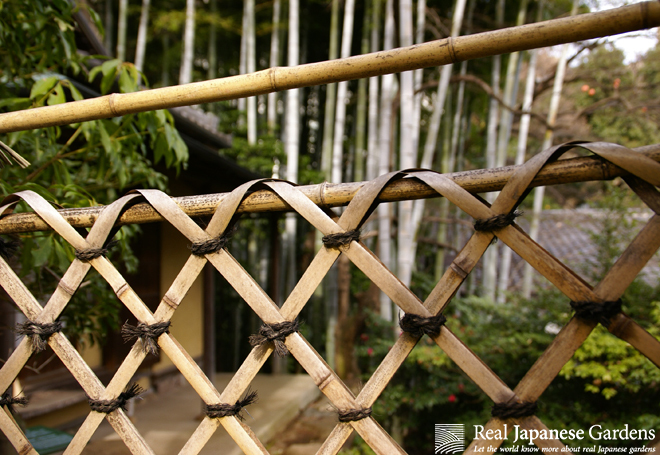 In Japan, fences have first been used extensively during the Kamakura period and developed much later than walls. That is surprising – considering the availability and versatility of the materials used. Their functions are manifold: They block views and separate sceneries, are erected as boundaries around the garden, work as windbreaks or screens or emphasize a special element in a garden. Part 2 of the mini-series on fences deals with low fences - Low fences are mostly used in a garden to visually separate different garden areas from another, to mark paths and to guide the visitor through the garden. 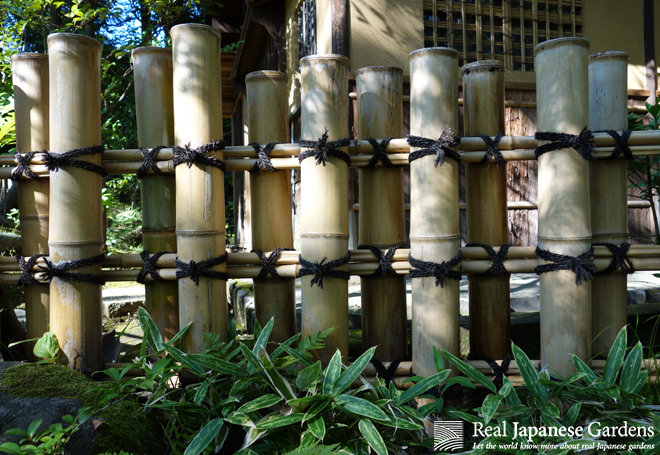 All of the fences in this eBook are see-through fences - sukashi-gaki (透垣). The garden visitor can see what lies behind them, but cannot go there. Depending on the garden situation, this design element can be used to increase curiosity. 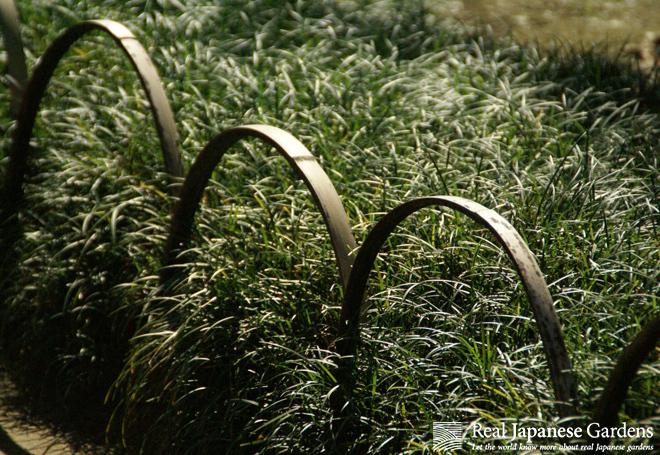 When the fences are used to divide garden areas, they are called shikiri-gaki (仕切垣). Very low fences (about ankle to knee high) are called Ashimoto-gaki (足元垣 - "step" or "foot-level" fence). 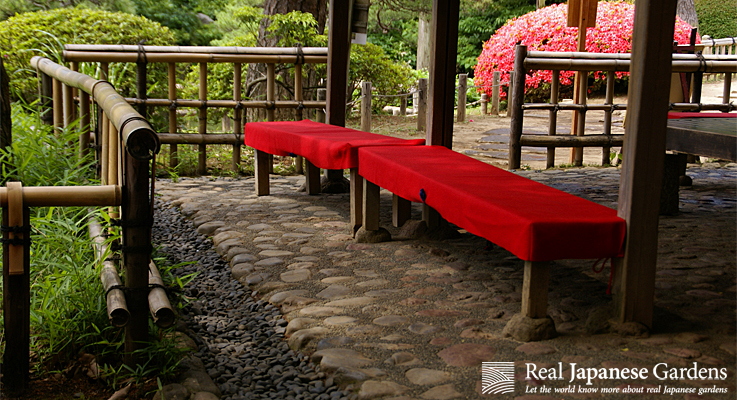 They are used to line a path and keep visitors off the moss or grass area.